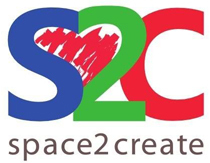 Space2Create was started in 2012 after a Kendal based mental health charity, Workbase, closed due to financial cuts. Some of the volunteers, staff and trustees felt that a large number of people would be left isolated because of this and so formed Space2Create based around creative activity. Many of the people involved in running S2C have themselves recovered from or are recovering from serious mental or physical health problems. They have backgrounds in the arts, education and training, mental health and social services. One thing that we all have in common is a passion for being creative and an awareness of how creative activity has helped them and others, to recover, grow and move forward in their lives. Space2Create is growing all the time, with a strong belief in participant involvement. We firmly believe in the benefits of being creative as part of a group. For anyone who has found themselves isolated or excluded while experiencing long term physical or mental health conditions, the road to recovery is a daunting prospect. We provide creative opportunities which are supportive, accessible and unthreatening. All our sessions have a very positive atmosphere and the participants are mutually supportive. Again and again we see service users improve their confidence, self respect and wellbeing as they move towards recovery and back to being part of their community. We support individuals to move forward at a pace suitable for them, looking to help them become more involved and eventually take on volunteer roles, education opportunities or look to return to employment. As part of this, as well as sessions in our own unit, we link to local organisations, community events and festivals to provide opportunities for our service users.